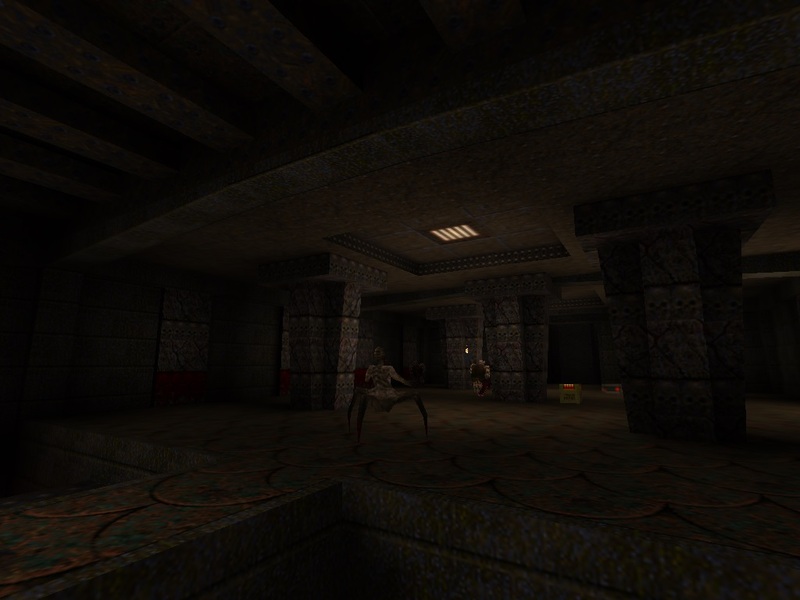 My first release for Quake. A medium sized runic/metal map. It took me a month to complete the map. I hope you like it. Very solid map, I enjoyed it very much. Looking forward to your next maps! My only complaint would be that some trial and error was necessary to work out some quirks of the level, but it didn't bother me too much. My only critic is the hidden passage and buttons behind walls. Really a GREAT must play map. Same criticism as Barnak. Too hard to find and very much a DooM thing. Demos of the end section. I died a lot so Mark V autodemo overwrites prior game play. I am a big fan PLEASE keep making maps. This one is fun as hell. Thanks for the feedback and demos, guys. Yeah, i thought about the last part, but decided to leave it the way it is and see your feedback. I placed a death knight behind the wall to make it easier to find the hidden passage. But now i see that it doesn't work well. dumptruck_ds, you are right about a DooM thing. I like DooM a lot. But it's not a good idea neither for Doom nor for Quake. Thanks for the demo, FifthElephant. But your demo crushes when you enter the blue key room. I have used FTEQW to watch the demo, because of a specific protocol. I should have posted yesterday when I played it, but better late than never. Its a really impressive first release, I had a lot of fun, but Im not all that familiar with the process of demoing so I think this one might end after I stupidly jumped backwards over lava, still, hope it helps. I have to agree about the end part, it took me a bit to figure out the invisible wall, and Im not a big fan of trial and error switches, but besides that I really have nothing bad to say. I appreciate your feedback, Hutz. Thanks! Here's an updated version without illusionary walls + some small fixes. I've noticed a mistake in the geometry. played the one in the link above. was pretty happy til the end bit as you'll see. didn't mind the illusionary so much (easy to find with dk) as the fiend waiting behind it on my return. also inadequate warning about lava trap, though it kind of made sense in retrospect (all runes were operable, really). Yes, but the problem is that other enemies can distract the player if he didn't kill them earlier. Just one pointer for you. It's been a very common practice to AVOID re-releasing maps. Recently with Drive and Dropbox, mappers have felt free to update their maps as often as they like. However, I'd suggest a method that many other map authors do: find a small pool of play testers and do non-public beta or RC "release candidate" versions. Find and smash bugs / or make improvements that way. Just food for thought and I am sure others can weigh in and make better points. Thanks for the pointer. Yes, i don't want to produce multiple versions of a map for the public. One improvement would be if the 3 "operable" runes looked the same, got burned by that! Otherwise a tremendous effort- great job! A nice video playthrough. Thanks! 2 missed secrets, btw. Actually, there is 3 hints about the runes. Aside from the third 'hidden' rune not matching the other two, I wouldn't change a thing about this map. Not even the illusionaries. I felt the Doom2 DNA while playing, and loved it. Fun, inventive fights and scenarios and secrets, and I found it perfectly balanced. 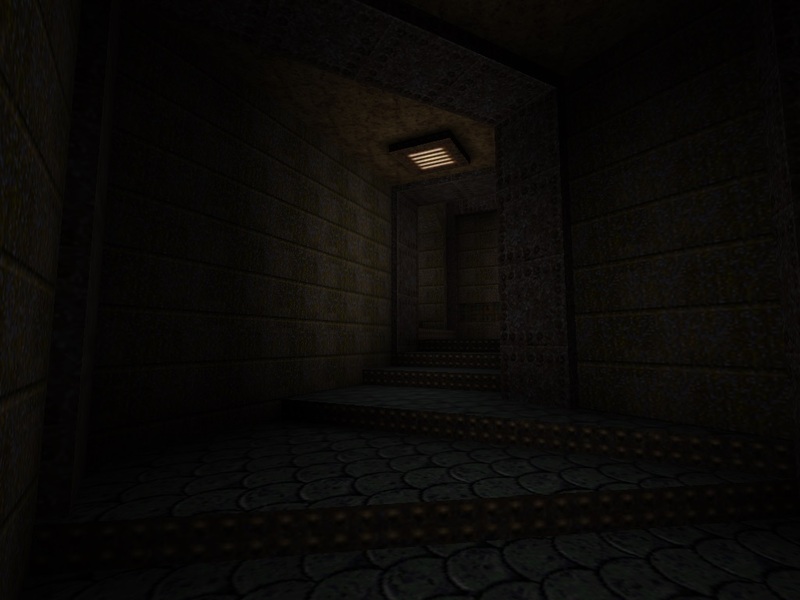 Every Quake map should be like this. I do agree this is very good overall. I hope that was clear. 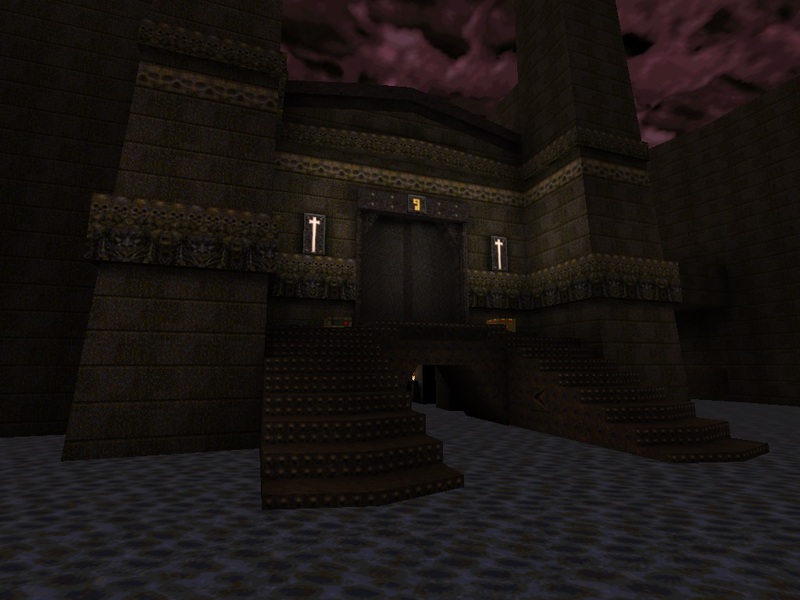 Awesome map, you say this is your first quake release? You must have experience with mapping for other games though, right? I just have one unfinished map that i started early this year but it was dropped for certain reasons. Besides that, i don't have any experience. I just play a lot of old fps games. I like the style, metal and runic is one of my favourites. This has some cool, classic designs in and some fun areas. However some of the design themes are a bit disparate (I'd prefer more consistent architectural touches) and the run switch lava trap bit was really counterintuitive and detrimental (i.e. having the most obvious feature about the runes - the actual rune - NOT being the clue to which one is right). I love seeing so many newcomers put out some real quality first maps, really puts my firsts to shame. This is just an all around solid map, with the lava pit rune button puzzle being, not unfair but maybe turning the lava into slime or something? Either way great work! You have some serious natural talent. I thought this was a great map! Ending a map with a puzzle after a big battle like that is a great idea! I'm just glad I saved before the puzzle.